Put-in-Bay Mossbacks | Casual Drinks and Large Burgers. Breakfast Too! 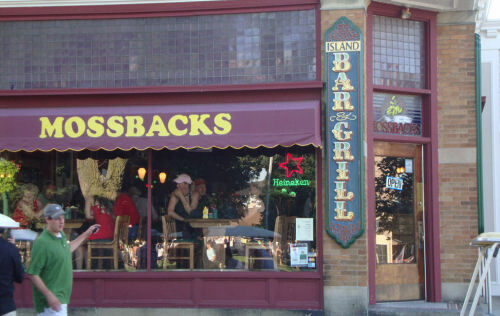 Positioned near the public docks and the park, Mossbacks is a great choice for a wonerful served meal. The rich interior is very inviting, complete with gorgeous wood working. This upscale, casual restaurant specializes in walleye, perch, steak, and chops. Lunch and dinner are served daily.